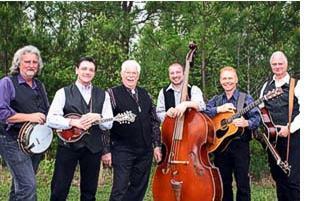 Bluegrass music group Bill Yates & the Country Gentlemen Tribute Band will be performing at the Lucketts Bluegrass Concert Series, being held at the Lucketts Elementary School which is located adjacent to the community center on U.S. Route 15 at 14550 James Monroe Highway, Leesburg, VA 20176 on Sat., Feb. 25, 2012 (the Series is being held here while the "Old Schoolhouse" is again being renovated). Show admission is $15.00 at the door. Show time is 7 PM and doors open at 6 PM. Remember, the community center is a smoke free and alcohol free environment. Light food will be available for purchase. Bill Yates & the Country Gentlemen Tribute Band would like to invite everyone to come on out to see their show, especially since this will be the first show at this venue with their two newest members of the band: Rick Briggs on banjo & vocals and Eric Troutman on upright bass & vocals. It was just after last year's show there was when the two became a part of the band - and they haven't looked back since. They are welcomed additions and fit the band like a glove, helping to re-enact that sound of yesteryear that they so diligently try to portray. The band hopes that people will come and see the newest band and they say, "we'll guarantee that if you were ever a fan of The Country Gentlemen, you'll surely not be disappointed!" The band looks forward on continuing to celebrate the ever popular music of The Country Gentlemen, especially within the capable hands of our fellow band mate, the 20+ year previous member of The Country Gentlemen, Mr. Bill Yates himself. Bill Yates & the Country Gentlemen Tribute Band look forward to the band continuing on in the complete honor and integrity of The Country Gentlemen legacy to the best of their abilities. Please come see them Saturday at this fabulous venue and don't forget to check out their website to see them down the road somewhere at a venue near you in the future.